How many rejections from agents I should collect before I give up trying to get one. I had a draft of my novel I sent out about 18 months ago after querying around. All in all, about ten agents read my novel either entirely or in part. I got everything from "It's not for us" to enthusiastic "the manuscript made the rounds here, we loved it, but the principal wasn't enthusiastic enough." So, back to the garret, and I cut the 160K word book to about 110K, streamlining the second act and making it, in my opinion, better. So off to a second round of querying and sending it out, and I'm still racking up rejections. Some say they love the characters but not the prose, some that they love the prose but not the characters. I'm not sure how long I should persist. Miss Snark's Immutable Rule: You can quit at 100. There are 750 agents in New York alone. Not one single one of us has a lock on what's good, what will sell, or the next big thing. You have to query till you find someone who connects with your work. We can't read your novel if you haven't sent us a query letter. You might look for younger agents starting out. They have more room on their lists. I think sometimes it could take more than 100. There are people who sent to 200 or 250 before they sold a book. And after 100 rejections, you either really have to believe in your book or jump off a bridge because you start to feel rather stinky after so many nos. The fun part is believing in yourself despite what any one agent or editor says and keeping on. That's where the rubber meets the road and that's where you find out if you really have it. Janet Fitch talks about how she came to hate agents and editors and it was her hate that kept her going when her book didn't sell. I can understand that. Well I am up to three so far and ready to abandon ship. I need a personal secretary just to handle my rejections. At least one hundred seems like the right advice to me (not that I would ever question she-who-need-not-be-named). Okay, I would, but not this time. 250? Well, I suppose once your ego is nicely broken in at 100, you can really start to cruise. There goes the diet cola. Please forward your address so I can advise where bill for my new keyboard should be sent. I know an author whose nonfiction ms was turned down by something like 15 agents. Not one to accept rejection, he went out & got a deal w/ a good house on his own. (Not much money, but the book was published well.) Due to his assiduous promotional efforts, the book went into several printings in hardcover & was picked up by a university press for paper. Post-publication, he landed an agent & had a 3-way auction for nonfiction book #2, which is doing quite nicely in hardcover from a major house. Besides its subject matter, what made ms #2 so saleable, the publisher told him, was his energy for promotion. An author, whose work I like a lot, Joe Konrath says on his blog that he had written nine books and gotten almost five hundred rejections before he sold a manuscript. I got my first reject this weekend, so as a minimum I've got 98 to go, or as a max 498 to go. Check out Joe Konrath's web site at www.jakonrath.com. He's got a nice section of tips for getting published. Nice guy, too. Bonnie I'm not sure that's good news LOL I'm teasing but the reality is I'm sitting at about 100 rejections on 5 ms. (one of which was agented at one time but we had to part ways). An acquaintance who is a successful sf writer offered the opinion that getting a decent agent for a first book might be even harder than selling a first book without an agent. My experience is consistent with that. I got no nibbles from any of several agents for my novel--despite being a moderately successful nonfiction author. The third publisher I submitted it to (I think) accepted it. Okay, 5-10-100 reject letters is NOTHING. I am above 600 rejections now. 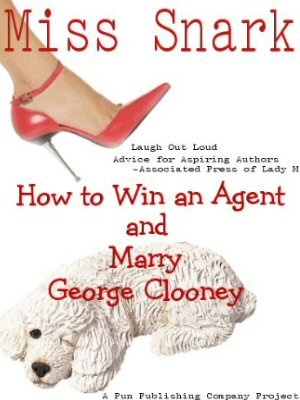 I had an agent and she claimed to love my story. She submitted it to a few editors but she gave up too soon. I didn't. After 90 queries, I currently have four agents reading my novel right now. I've done major re-writes and had all the possible errors corrected. Maybe this time something will happen. I don't know. At this point, I don't care if I ever see a dime, I just want my story out there. I want to share it with the world. However, after this, I really am going to forget it. I have a damn GOOD story, that took me 7 years of hard work. I've poured out my soul and visions, but have been told it's too complex. At the same time, editors and agents say how much they loved the story, that I have so much talent, so what is going on? You should see all the positive feedback I've received, it's amazing. If they love my book so much, I wish they would publish it. Apparently it is visual and intriguing, but doesn't fit the "mold" according to the people in the book business. Well, I'm sorry if America is dumbed down. Too bad. I guess I will never get to share this book with anyone, and that is a real shame. When I see how many mindless contemporary books are crowding the shelves, it sickens me. They are shallow, poorly written and contrived.